When it comes to digital marketing, one thing is certain – things don’t stay the same from one year to the next. If you doubt that, take a look at how search engine optimization has changed in recent years. It wasn’t that long ago that search engines like Google favored web pages that used keywords as much as possible. Today, “keyword stuffing” is an SEO tactic that can actually hurt where your site ends up in search engine results pages. With every passing year, new technologies are introduced. Current tools get smarter and more accessible. Consumers rely on technology more and more as they’re exposed to an ever-increasing number of marketing messages. Despite things constantly changing, the point of Internet marketing remains the same today as it was at its inception. And that goal is to capture and retain the attention of consumers who want to buy the goods or services you sell. With every digital agency having the same objective, it can be difficult to make your business stand out on such a crowded playing field. While that’s the case, it isn’t impossible. Staying on top of the latest trends and using them to your advantage is one thing you can do to make your business rise above the competition. Artificial intelligence is already having an influence on digital marketing, but its “grip” on the industry will grow even stronger in 2019 and the years that follow. The use of artificial intelligence enables marketers to finely tune their messages because it can mine a tremendous amount of data quickly and provide insights about consumer behavior. How can you incorporate artificial intelligence into your digital marketing? You can use it to identify prospects who resemble your current clients and your ideal customer profiles. Artificial intelligence can also analyze ongoing conversations on social sites like Facebook, Twitter and Instagram to find out what people are saying about your organization as it relates to your competitors. While the adoption of chatbots may be happening slower than some forecasted, the use of chatbots will become more widespread throughout 2019 and beyond. Using chatbots is a great way to save on your customer service costs while continuing to provide the high level of service your customers expect. Savvy businesses are using chatbots to answer the questions consumers ask the most. “When will I get my package?” and “When is my appointment?” are just examples of the repetitive questions chatbots can answer without human assistance. Chatbots can do more than provide answers to basic questions. They’re also capable of conversing with people, and they can even do things like share emojis to make a given chat seem more normal, fluid and human-like. If you want to reduce your labor costs while making the most of a digital marketing trend, a chatbot is for you because you can use them to perform tasks like scheduling appointments and closing sales. If you doubt the effectiveness of chatbots, consider this. By 2022, it’s predicted that chatbots will help companies save more than $8 billion every year. Americans will fall even deeper in love with smart speakers like Amazon Alexa, Google Home and Apple’s HomePod in 2019. According to a recent study by Nielsen, close to a quarter of the homes in the United States already have at least one smart speaker. Of those homes, 40 percent have more than one smart speaker. 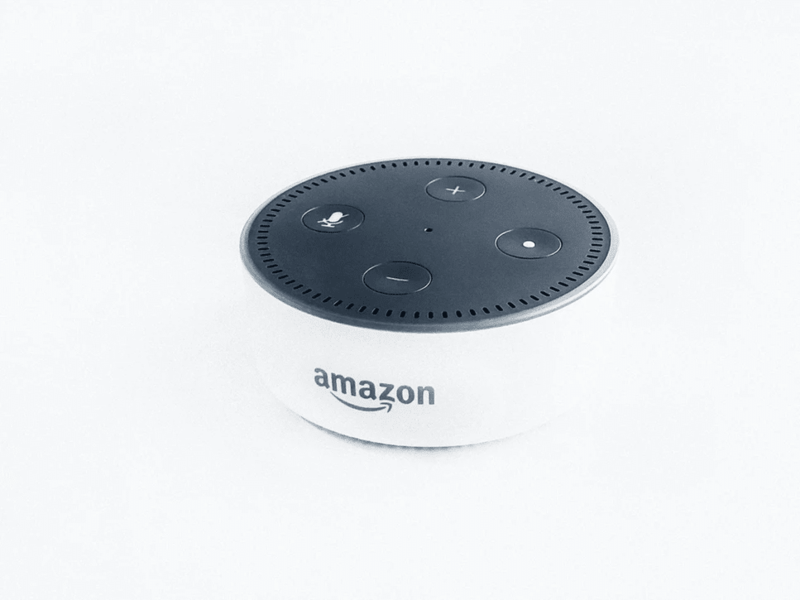 With such a considerable number of homes having a smart speaker, it should come as no surprise that 81 percent of users rely on their smart speaker to find real-time information in a given week. About 32 percent of users have linked their smartphone to their smart speaker. Additionally, around 52 percent of users have linked shopping apps to their smart speaker. What does all of this mean for online marketing? It means you should prepare content to respond to voice searches instigated by actual questions people ask in normal conversations. It also means you need to get ready for new marketing opportunities that may arise if Google, Amazon and Apple create advertising platforms for their respective smart speakers. If you’re in marketing, you may be wondering why influencer marketing is on our list of marketing trends to watch in 2019. Although influencer marketing isn’t new, it is in the context of using it on a local basis. Small and midsize businesses that compete on a local level can use local influencer marketing to bring traffic to their doorsteps as well as their websites. To find influencers in your local niche, you can turn to social media sites like YouTube and Snapchat. The key to winning over an influencer is to start slowly and follow the person first. You need to educate yourself about the influencer and the person’s brand and followers. Once you’re familiar with the influencer and sure the person’s followers represent your target market, you can send the influencer a message with the hope of beginning a conversation. After you interact with the influencer for a while, you can see if the person has an interest in promoting your business to people who live in your community and nearby areas. What do consumers enjoy more than videos? Live videos, of course! Live videos will have a big influence on digital marketing moving forward because they can deliver an experience that consumers crave. To use live video effectively, your videos must be engaging, relevant and meaningful to the members of your target audience. You also need to pick the right platform. While you may automatically think of Facebook Live, less crowded platforms like YouTube Live and Instagram Live may be a better place to start. If you want to put the latest digital marketing trends to work for your business, you should partner with GoingClear Interactive. We’re intimately familiar with today’s current trends and the ones on the horizon, and we have the skills and vision to leverage them in your favor. Learn all about our digital marketing services and how we can put them to work for your organization now.